Heat your Black Knight barbecue. If using wooden skewers, soak in water. In a large bowl, mix together the ground beef, onion, parsley, cayenne, allspice, salt and pepper until evenly blended. 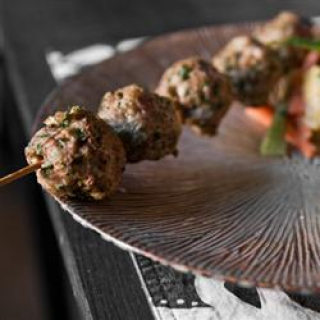 Divide into 6 portions, and press around one end of the skewers to form a log shape approximately 1 inch thick and 6 inches long. Grill for 10 to 15 minutes, turning occasionally, until meat is no longer pink.